In our newsroom you will find announcements about office closures, new partnerships, and immediate changes to policies or programs. For more detailed information regarding what's new at LSS/NCA, please see our most recent newsletter or friend us on Facebook. 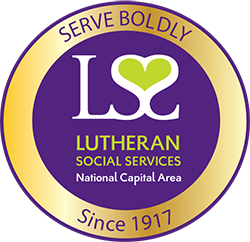 Lutheran Social Services of the National Capital Area (LSS/NCA) Board of Directors announced a change in executive leadership. Over the past three years, Christine Connell served as Chief Executive Officer. Mrs. Connell’s contributions and dedication to the organization are commendable during an era of agency transition. We are deeply saddened by the tragedy in Pittsburgh and the faithful lives tragically lost in this heinous and hateful act of violence. Our prayers go out to their families and their communities. Today, the White House announced a sharp reduction in the number of refugees who can be resettled in the United States. The Trump Administration has set a cap of 30,000 refugee admissions for FY19, a 33% reduction from last year when the cap was set at 45,000 individuals. Of the 45.000 cap set for 2018, and because of administrative hurdles, less than 50% of refugees arrived. The latest immigration crisis on our southern border is a visual illustration of the millions of families’ worldwide fleeing violence and persecution, dreaming of a better future for their children. The LSS/NCA Unaccompanied Refugee Minor (URM) program is one of few in our nation and the only one in our community that is providing these youth with stability and family after losing everything in their search for safety. We are requesting your help to strengthen and expand this program. Luwam Ermias, an unaccompanied refugee minor from Eritrea, has been awarded $2,500 to attend Marymount University in the fall to study biology and chemistry in preparation for a career in Dental Hygiene. At a very young age, Luwam was pulled out of school and sent to work to help support her family. She yearned for a better future not only for herself but for those she loved, so she desperately decided to leave her home in Eritrea when she was 14 years old. The D.C. Child and Family Services Agency (CFSA) has moved forward with their plans to redesign its system to provide foster care services in-house for children placed in D.C. homes and to contract with only one provider for foster care services for children placed in Maryland homes. That provider has been identified as the National Center for Children and Families (NCCF). LSS/NCA has worked closely with NCCF for the last several months to successfully transfer children and families to their care. Passport to the World comes at a time when those served by LSS/NCA, in particular refugees and immigrants are once again in the political spotlight. The event served as a poignant reminder of the people and families LSS/NCA has supported for the past century through the combined efforts of its staff, volunteers, local congregations and partnerships with service organizations and the private sector. Lutheran Social Services of the National Capital Area (LSS/NCA), today proudly introduces the Honorary Chair Committee for Passport to the World, an exclusive event celebrating 100 years of LSS/NCA service and the diversity, hopes and dreams of the DC community. Passport to the World will be held on Thursday, March 1, 2018 at the stunning American Institute of Architects building. The 16-member Honorary Chair Committee encompasses a diverse array of LSS/NCA supporters, including United States Senators and Representatives, Maryland and Virginia state legislators, Ambassadors, City Councilmembers, national and local Lutheran church leaders, allied service providers and an iconic voice. Guests attending Passport to the World will find themselves immersed in a colorful and interactive international market featuring the tastes, entertainment and cultures of a selection of countries from which LSS/NCA-supported refugee and immigrant families have migrated. The event will serve as a poignant reminder of the people and families LSS/NCA has supported for the past century through the combined efforts of its staff, volunteers, local congregations and partnerships with service organizations and the private sector. LSS/NCA is disheartened by the drastic reduction of refugees who will be able to build new lives in the United States and find safety from persecution and violence that threaten their livelihood every day. Our hearts and thoughts are with the millions of people still waiting for an opportunity to build a new home; and we pray that they hold firm to their hope and strength through the continued wait. For 100 years, LSS/NCA has walked with those in need. Today, we continue to stand by our immigrant and refugee neighbors who bring economic advantage and vibrant diversity to our communities by opposing the recently proposed RAISE Act. We are disappointed with the Supreme Court decision that will allow a portion of the travel ban to go forward until the Executive Order can be reviewed in its entirety this fall. The decision’s direct implications on LSS/NCA programs and our ability to serve the refugee community are still being evaluated. However, this decision comes at a time when worldwide displacement is now the worst in record history. Due to the overnight snow storm all area offices will operate on a two hour delay. LSS/NCA will open at 11am today. Please call ahead for scheduled appointments and visits. Staff may have additional delays in commuting. We apologize for any inconvenience. The direct implications of the President’s recent Executive Order on LSS/NCA programs and our ability to serve the refugee community are still being evaluated and discussed with our national affiliate and federal partners. But the impact on our refugee brothers and sisters is clear. At a time when the world faces one of its largest refugee crises, tens of thousands of refugees will be denied the opportunity for a new beginning. Announcement from DC ELCA Synod: With the inauguration days away many of our members are taking part in events around the inauguration next week, and some Metro D.C. Synod congregations are offering hospitality and reflection opportunities. Due to inauguration events and road closures, and to ensure the safety and convenience of our staff and clients, all LSS/NCA offices will close at 3pm on Thursday, January 19 and remain closed through Friday, January 20. We will reopen on Monday, January 23 at 9am. From the global stage to the family next door, the needs of our divided humanity have been seemingly insurmountable. But for 100 years we have headed the call to bring hope and love to a world that desperately needs it. By sharing the work we do, the lives we touch and the challenges we address, we rally others to our side and have the ability to do even more. Today through our collected efforts, nothing is impossible. Thank you for offering hope and compassion to families and children. Join us in service and celebration as we recognize 100 years of serving boldly. Beginning January 1, 2017, LSS/NCA office hours will change. Local offices will be open 9am-5pm Monday through Friday. If you have questions or concerns about these hours, please do not hesitate to contact us st (202) 723-3000. With respect to the results of the 2016 U.S. presidential election. LSS/NCA, along with our community partners and affiliate LIRS, affirm our commitment to work with the Trump Administration to uphold the United States’ long tradition of protecting and welcoming refugees. After an extensive national search, Lutheran Social Services of the National Capital Area (LSS/NCA) has hired Christine Connell as its new CEO. She begins February 1. Melissa Graves, LSS/NCA CEO, speaks to organization's history and dedication to welcoming our refugee neighbors. Read her full message here and learn how you can take action today. World AIDS Day is held on December 1 each year and is an opportunity for people worldwide to unite in the fight against HIV, show their support for people living with HIV and to commemorate people who have died. The Sunday following is an opportunity for congregations to recognize World AIDS Day as a group through prayer, learning, and service. Here is a helpful bulletin insert full of resources. Effective October 15, LSS/NCA's Baltimore/Central MD office and Montgomery County/Prince George's County office in Silver Spring will consolidate into one location in Hyattsville, MD to better serve refugee clients. Read the complete announcement. Did you know that by throwing away one old cell phone, you can pollute 35,000 gallons of water? Donate your old cell phones to LSS/NCA and we will raise money for our families in need and dispose of them properly. Click for more details. We are looking for communication, media, advocacy, and event professionals who are interested in serving on a special LSS/NCA committee. This group of professionals will discuss, market and coordinate LSS/NCA's 100th anniversary celebration in connection with our Stronger Together campaign! The Council on Accreditation (COA) invites the public to provide comment on intercountry adoption service providers seeking Hague accreditation or approval or renewal of Hague accreditation or approval. Any time you shop on Amazon and designate LSS/NCA as your charity of choice, Amazon will donate 0.5% of your total purchase to LSS/NCA.